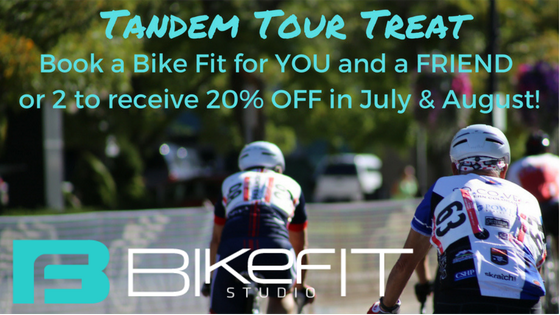 Book a BikeFit for YOU and a FRIEND or 2 to receive 20% OFF July & August 2018. *Riding a bike should never be painful; comfort is crucial because any time you feel discomfort when cycling it’s likely that your performance will drop and so will your enjoyment. Bike Fit Studio’s initial bike-fitting session concentrates on removing any confusion in regards to what a bike should feel like and getting back to basics in regards to the best fit. We look at your goals, riding history as well as any injury considerations and biomechanical limitations. 1. Being optimised for your ideal riding position and bike. 2. Whether you’re a commuter or racing cyclist, a professional bike fit is an investment in your health. 4. Your bike will be faster and more comfortable – now that’s a win-win. 5. Potential injuries can be avoided if your bike is tailored to your individual needs. 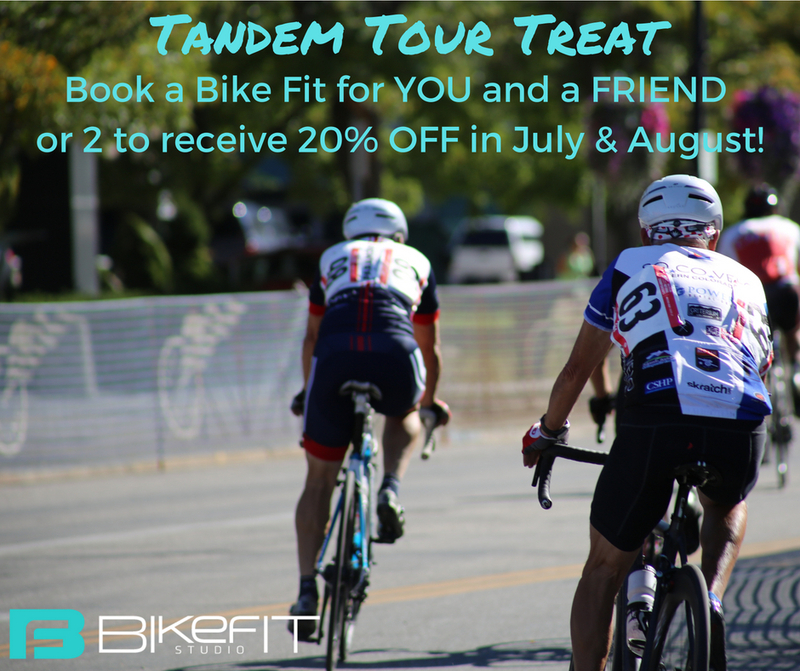 *Book a BikeFit for YOU and a FRIEND or 2 to receive 20% OFF July & August 2018.